The 40 delegates attending the SMA General Assembly have elected the Leader ship team who will guide the Society for the coming six years, up to the next General Assembly, scheduled for 2019. The 2013 Assembly is drawing to a close and is scheduled to conclude its work this week when delegates will vote on the Action Plan 2013-2019. 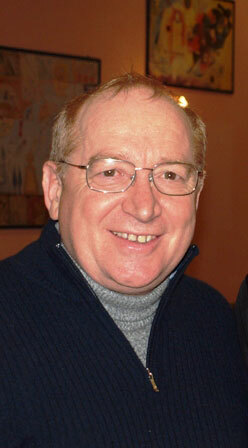 Vicar General – Fr Antonio Porcellato, since 2007 the Italian Vice Provincial Superior. To read a biography on Fr Antonio, pictured on right, click on his name. General Councillor – Fr Francis Rozario, born in 1975, is from the diocese of Salem, Tamil Nadu in India and is a member of the Indian District-in-formation. Fr Francis began studies with the Society in 1992 at the SMA House in Mangadu, near Chennai. He completed his Philosophy studies at Arulanandar College, Madurai which is under the care of the Society of Jesus (Jesuits). For his Stage (Pastoral Year) in Africa he was assigned to the SMA team in Egypt. Following this he was assigned to the SMA Formation House in Cote d’Ivoire where he took his permanent oath of membership in 2002, followed by ordination as a priest in 2003. He is the 19th Indian SMA priest and was ordained by Bishop Singarayan in Salem, his home town. After ordination his first appointment as a priest was to the Apostolic Vicariate of Kontagora in Nigeria where he worked with Fr. Patrikson Francis in New Bussa parish and then alone in Agwara parish. In 2006, recognized for his intellectual capacities, he undertook Further Studies in Scripture at the Pontifical Bibilical Institute in Rome from where he graduated in 2010 with an LSS (Licence in Sacred Scriptures). Fr Rozario returned to Nigeria to join the Formation team at the SMA House of Studies in Ibadan, where seminarians seeking to be SMA missionary priests are trained. He is also a member of the teaching staff at the Ss Peter & Paul Major Seminary where about 700 seminarians from various dioceses and congregations study. 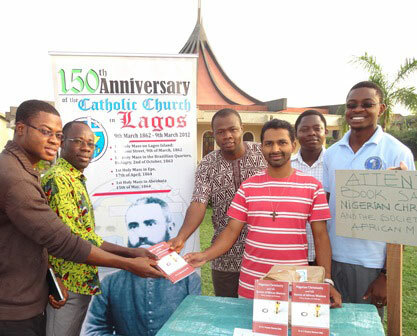 Fr Francis, pictured above 3rd from right with SMA seminarians, has several books to his name. His latest work, Nigerian Christianity and the Society of African Missions, was published earlier this year. 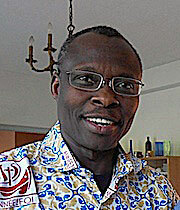 General Councillor – Fr Francois Gnonhossou, born in 1961, is originally from the Archdiocese of Cotonou, Benin Republic. He is a member of the Bight of Benin District-in-formation. After third-level studies at the University of Cotonou, Francois joined the SMA and was ordained a priest on 26 July 1997. He was appointed to the then Prefecture of Kontagora (it became a Vicariate in 2002) and ministered in Guffanti and New Bussa parishes. After studies in Formation in Paris Fr Francois was appointed Vice Superior of the then African District-in-formation and after three years in that position he was, in 2007, appointed as its Superior. In 2009 he was asked to establish an SMA parish in Quebec, Canada. Up to his election he was still involved in pastoral work in Canada.